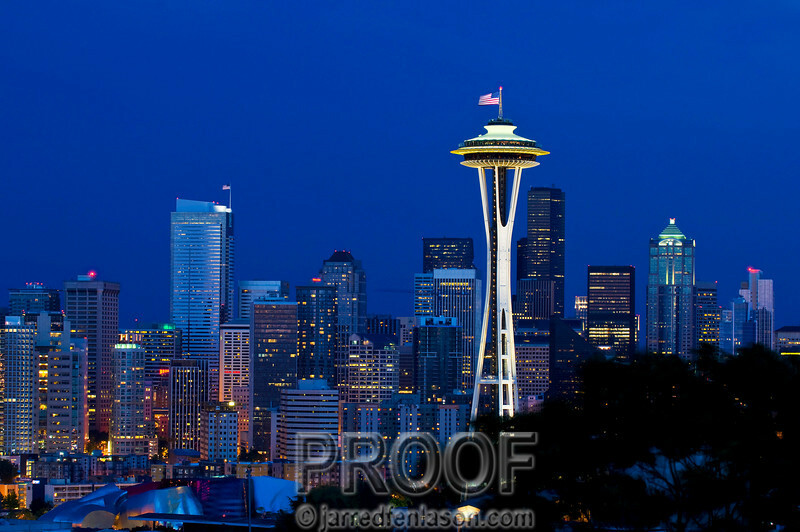 Kerry Park is the ideal location to photograph the cityscape of Seattle. This photograph was taken just before nightfall when the sun had set and a faint blue color lingered in the sky. To bring out this natural blue color necessitated a longer exposure. With the camera set on the Gitzo tripod and my Really Right Stuff ball head I used a Nikon 70-200 2.8 lens with an exposure of 2 seconds. This photograph is virtually untouched and displays just how the camera captured the cityscape. How fortunate are all people who live in the homes surrounding this park and have the privilege of viewing such a masterpiece every night!